The magic happens in your hands… right in front of your eyes! 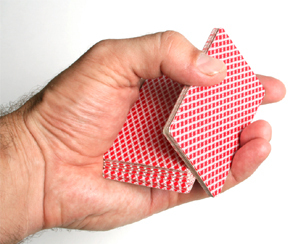 Close-up table magic is the perfect entertainment for a wedding, restaurant or private party. Weddings – Gary can amaze guests with close up magic throughout the wedding reception, entertaining them during the photographs, wedding breakfast or between the day and evening functions. He can also perform table magic during a formal sit-down meal or buffet, giving each table a unique magical experience. Gary’s professional close-up act is self contained, requiring no special equipment or facilities and will contribute to a magical wedding day that you and your guests will never forget! Restaurants – The versatility of close up magic makes it ideal for the restaurant environment. An experienced table magician, Gary works with the venue to ensure everyone enjoys magical dining experience. He has recently created a unique magical atmosphere at Andiamo’s restaurants in Giffnock and Milngavie, Blue Coyote in Newcastle upon Tyne and various functions at Newcastle United Football Club. * Providing entertainment for parties – a selling point you can use to attract large groups. * Smoothing out problems – a delay or a long wait for a table will be covered by Gary’s entertainment and your guests will forget there was ever anything wrong! 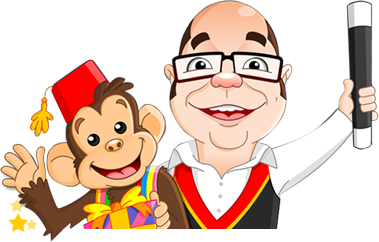 * Advertising your restaurant – Gary is a busy professional magician and is booked to work at private events throughout the region. He will promote the fact that he appears regularly at your restaurant at other events and in his promotional material (including this site). * Generating repeat custom – with Gary as your magician, your customers will have a more pleasurable and memorable experience at your restaurant, tell their friends and come back for more. * Adding prestige – magical entertainment helps your restaurant to stand out from the competition, adding sophistication and exclusivity.